3 Reasons We Love Our Micro Market: Preferred Credit, Inc.
2015 has been the year of the micro market at Bernick’s. We’re thrilled a solution exists for businesses looking for alternatives to dining options on behalf of their employees and culture. Earlier this year, we helped Preferred Credit Inc., (PCI) a St. Cloud company who provides financing to a group of direct sales distributors, debut their first micro market. Here are PCI’s three favorite things about it. PCI was founded in St. Cloud in 1982. Through the years, growth and an influx of millennial talent meant the 30+ year-old company needed more space. 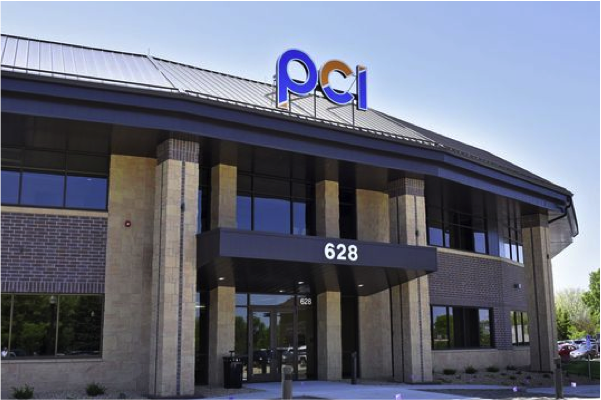 In May, PCI opened its doors to its new home on Roosevelt Road – a 44,000 square-foot home. PCI has roughly 285 employees and operates from 6:30am – 12:30am. Steve Windfeldt, PCI’s Executive VP and co-owner with his brother, Greg, shared the biggest factor in their need for a micro market. 10,000 square-feet of their space is vacant for now, as PCI looks to fill with tenants separate from their company. “It was important criteria to us as a landlord in that instance that we had an option for other tenants to use in addition to our own employees,” Steve said. As PCI made plans for their new building, they looked at catering options, but their hours of operations made it hard to find a consistent vendor who could match their hours, considering PCI’s staff doesn’t have that set noon lunchtime. “It wasn’t conducive to us. We wanted a food option for employees on-site because we have cold winters. We’d rather people spend time here and see their other colleagues versus going to McDonald’s. We wanted people to know they can eat here. So, we built a larger cafeteria but we needed something to complement that. When Bernick’s brought us this idea, it immediately resonated with us,” Steve added. Steve mentioned he and Greg’s immediate response to the idea of a micro market as twofold, “it’s self-serve so people can grab food when they want it and two, we didn’t have to manage it. That’s important. The relationship is between the employee and Bernick’s. We aren’t the ones who have to deal with any issues if they arise or manage any piece of it. In fact, when we opened our new space, Bernick’s spent a week on-site training all of our employees how to navigate the micro market, and setting up their accounts with their individual thumbprints. Dale is our account rep, and he gave out his cell phone number so when issues arise, they can be reported. Like when some new items weren’t scanning, I found an employee had been proactive and just called to report it without involving management at PCI. It’s so easy,” Steve continued. With new leadership, a new building, and a new image simultaneously, PCI has a new culture. They believe Bernick’s helped them foster that with the installation of the micro market, which they matched to the construction timeline of the new building to ensure when the building doors opened, so did the micro market. “When we moved in, we had a lot of neat attributes to our building. The number one attribute when we polled our employees about what they liked most was the micro market.” PCI purposely built one break room in their building instead of separate areas on each floor. They wanted to foster the relationship between employees. Another option PCI appreciated in the Bernick’s micro market was the number of healthy options employees could choose from. Items like fresh vegetables, string cheese, and hardboiled eggs are popular items at PCI’s micro market. PCI’s former building had traditional vending machines supplied by a competitor. “It was very hard to leave our previous supplier. We had used them for many years. So, Bernick’s had to get over the hurdle of that existing relationship, and they did so with the micro market. It was a no-brainer for us. It fit our culture and it fit what we were trying to accomplish. The other thing that put us over the edge on choosing Bernick’s was we liked the fact that they outsource their food options from ShortStop Catering. We liked that because we’ve known Byron (Bjorklund) for 40 years and we try our best to use community vendors,” Steve said. We’re happy PCI is so satisfied with their micro market, and we take a lot of pride in the relationships we have with local companies and leaders like Steve. Let us know when you want to see a micro market in action – we’d be happy to show you.